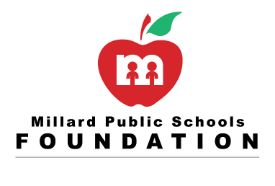 The Millard Public Schools Foundation has awarded over three million dollars in technology funding. In addition the Foundation has awarded over one million dollars in grants each of the last four years. Your donations help support initiatives that are not in the current district budget. Reductions in state and federal funding have challenged the school district. The support offered by the Foundation is critical to the future of many of these programs. Your continued support will enable the Foundation to meet the mission of guaranteeing sustainable resources for the Millard Public Schools.